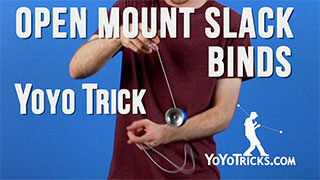 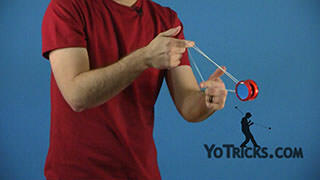 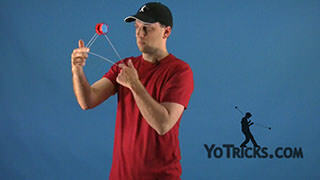 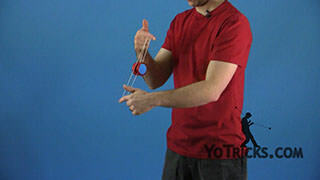 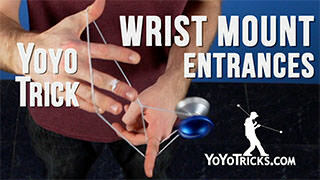 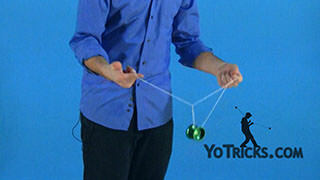 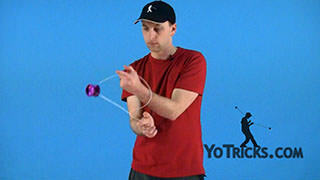 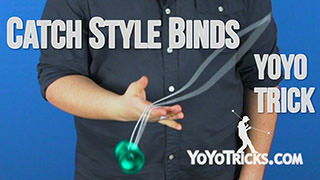 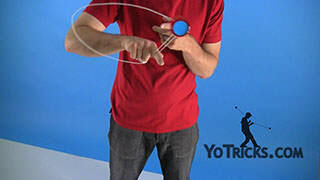 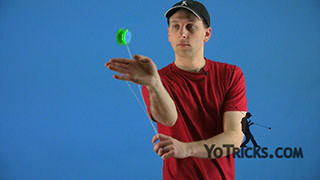 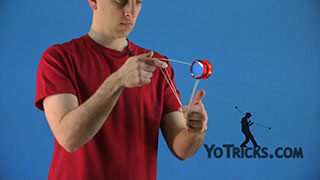 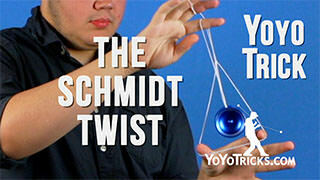 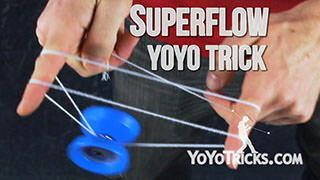 Learn how to do the yoyo trick Satoshi Tower. Before you learn this trick, you want to make sure that you know how to do Ninja Vanish. 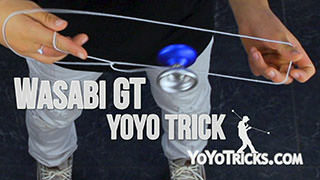 So if you have not already, check out our video on that and learn that trick. 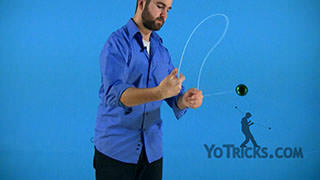 It is very important, we are going to use the same action to perform this trick. To start this trick, you are going to do as if you are going into a double or nothing. 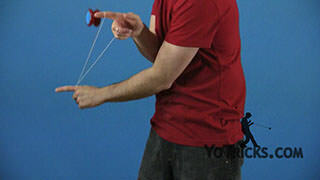 But we are going to stop here rather than mounting the yoyo. 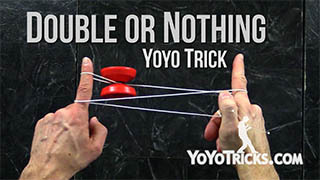 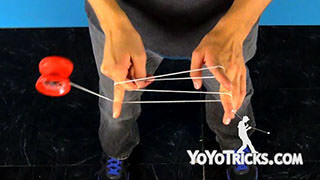 What you are going to find is this trick is easier if you take your opposite thumb and put it in the string and separate them. 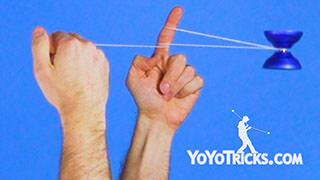 So you see you have a top string and a bottom string. 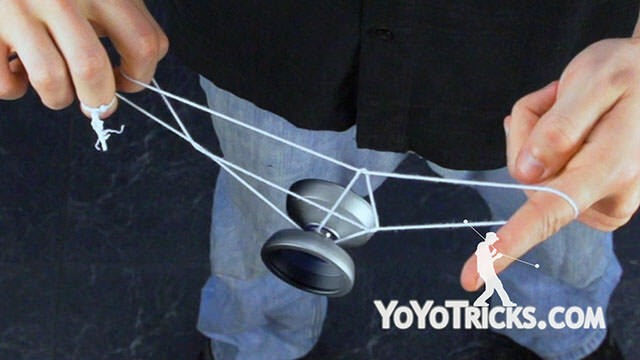 In the trick, what we are actually going to do is land the yoyo on this bottom string. 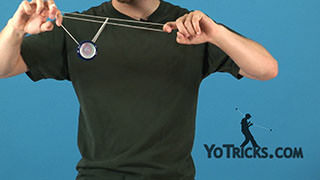 It is helpful when you are doing the trick to make sure that your arms are about shoulder width apart. If they are too far out, the string proportions are off, there will not be enough string hanging from the yoyo to perform the slack. 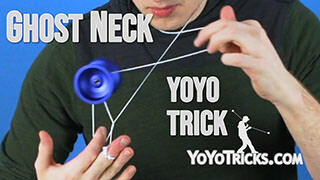 So about shoulder width apart is good. 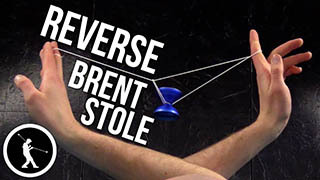 So you get into this configuration. 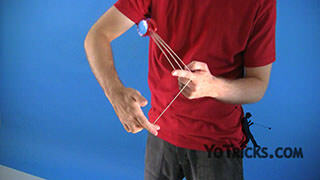 You have got your thumb that opens the string up, shoulder width apart. 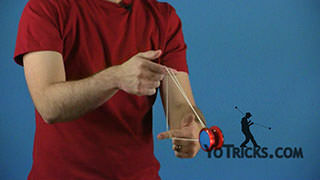 You are going to take your dominant hand index finger you are going to pinch the string, just like this. 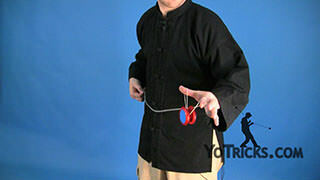 This is where you will perform that Ninja Vanish. 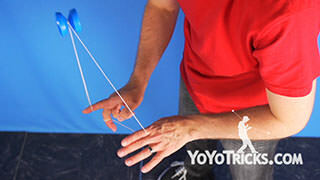 If you look at this trick, it is really helpful to look in slow motion. 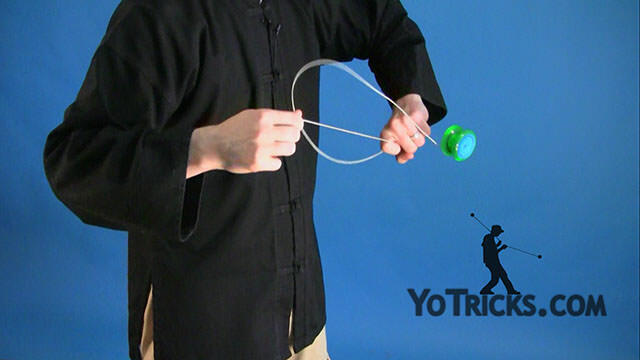 You will see we are not actually whipping the string into the gap of the yoyo, but what you are doing is performing a Ninja Vanish and the string is going to wrap underneath the yoyo. 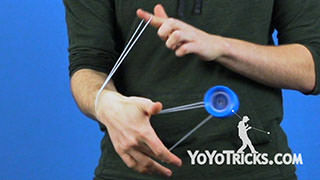 Then land on that back, bottom string like I had told you before. 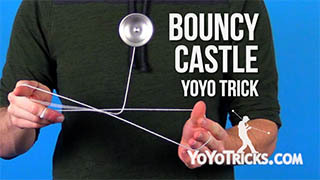 When you do that, that is what creates the tower. 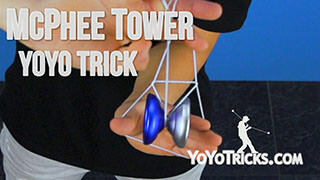 Once you are in the tower, the way to dismount is actually pretty easy. 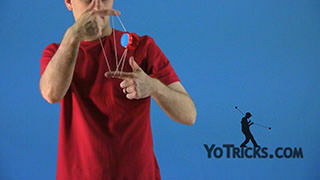 You are going to drop your non dominant hand. 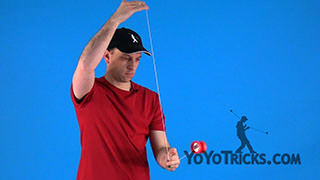 Then you are going to find this back string here. 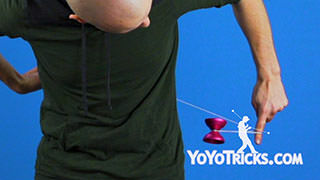 You will see that actually gets you into a Green Triangle. 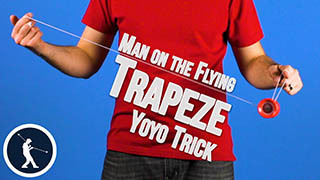 From here you can just roll out the front, and if you undo that wrap, you can land into a Trapeze, or go into any combo that you want. 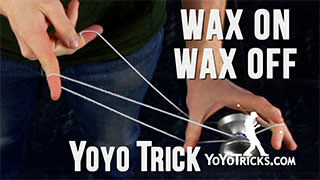 There are a couple of tips that are going to help with this trick. 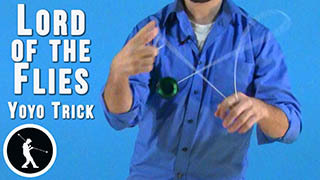 Number one is if you have got them, you should try using your Kendama Knees. 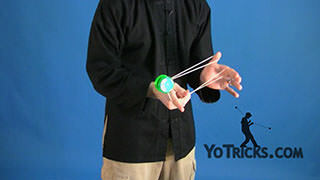 At least, that always helps me. 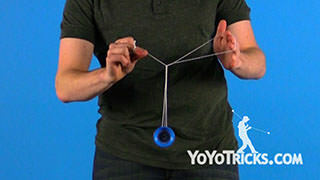 I find that it really helps if I slow the momentum down here instead of trying to perform the trick kind of as the yoyo is swinging. 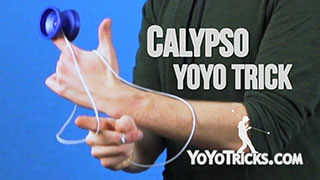 Try to bring it around and let it stop. 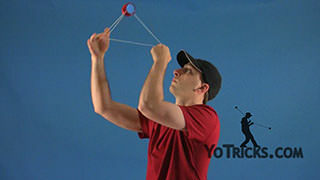 Using your knees helps you get a good consistent height. 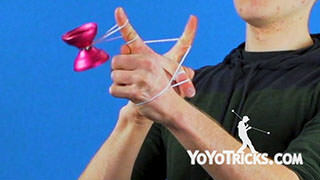 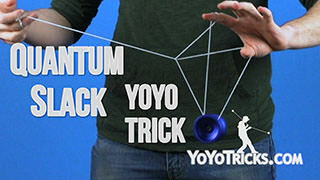 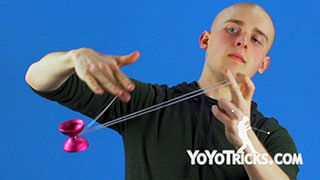 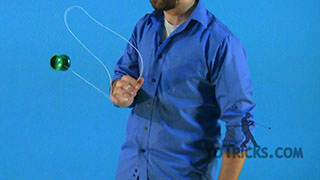 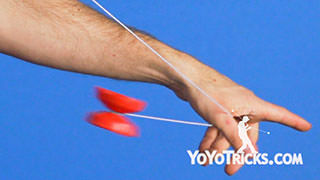 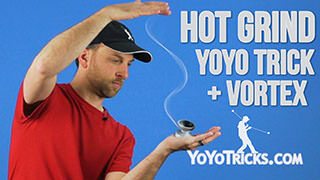 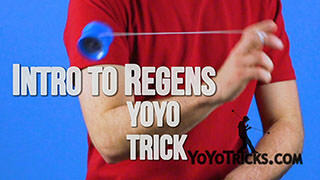 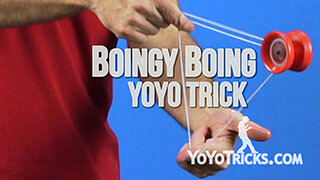 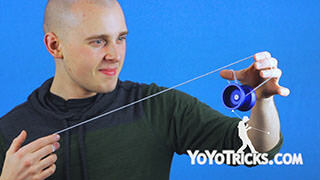 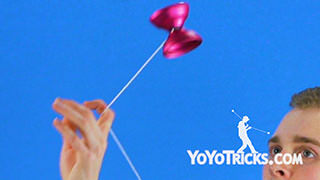 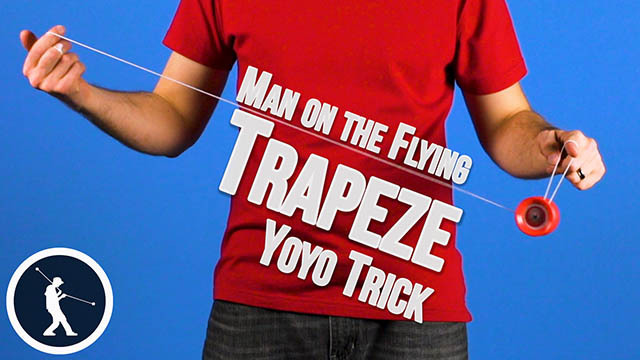 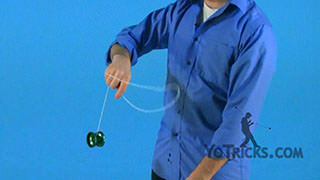 It is very important with this trick to make sure that when you pop the yoyo up, it comes to the level of your hands. 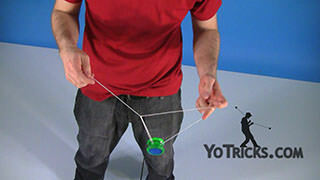 If the yoyo is too low, you will find the slack will not wrap around the yoyo. 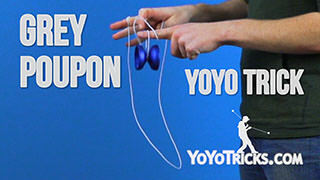 Or it might swing and whip right into the gap of the yoyo. 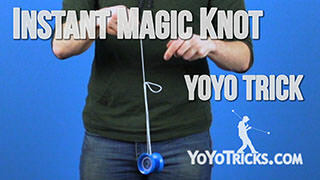 Neither of those will make the trick work. 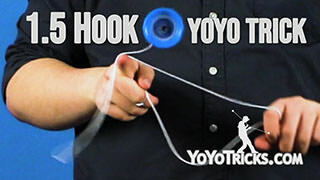 If the yoyo pops too high, the string will whip and it will come back before the yoyo lands in the string, so then it will not have wrapped around the yoyo. 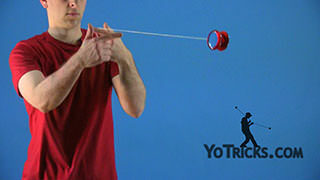 So it is important to get consistent at being able to pop that yoyo up to the level of your hands and getting that whip. 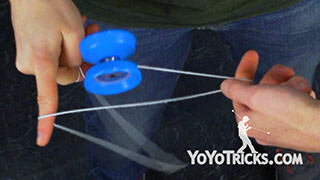 That will allow the whip to wrap around the yoyo and have the yoyo land on the back string. 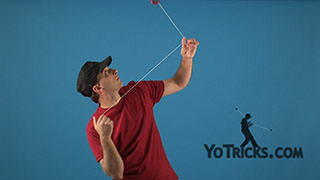 The second tip, and this is the one that I find most people I teach the trick to have trouble with, is you have to make sure your pinch is a really solid grasp. 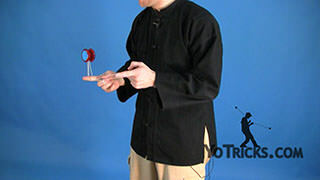 So when you are in this part of the trick, when you are pinching, you can not pinch loosely. 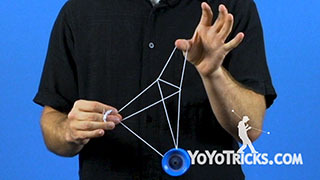 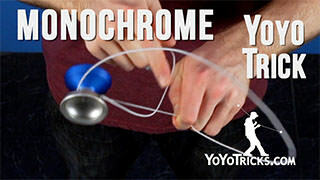 If you pop the yoyo up and find that the string moves through your finger, then you are not pinching hard enough. 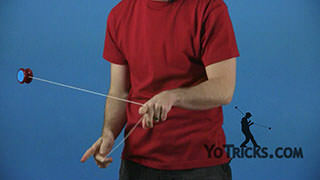 You have to actually grab it, get a good grip on that, so that as you pull up, you can see that string will not slide through my finger at all. 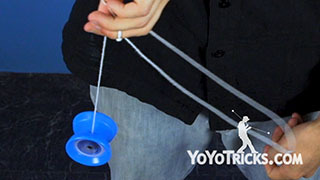 That ensures that the string proportions stay consistent throughout the trick. 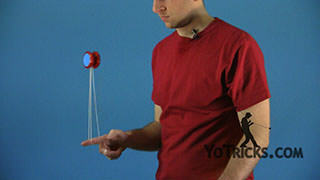 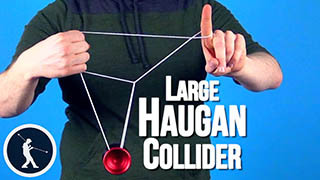 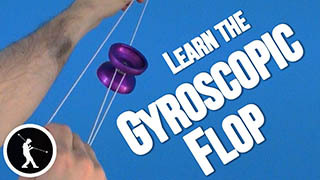 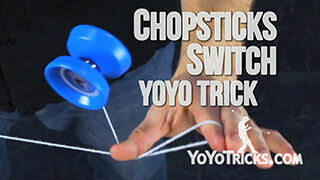 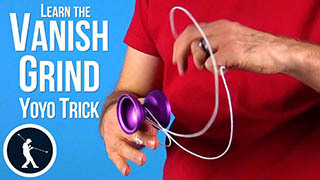 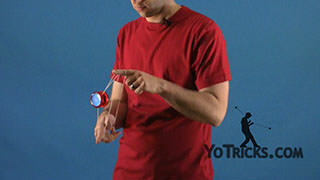 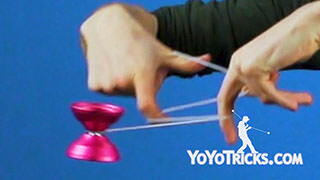 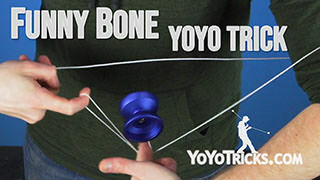 That helps you to be able to get a good whip, get it to go under that yoyo and land that tower. 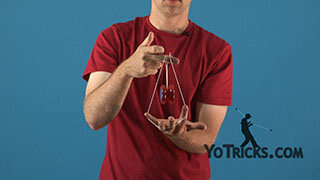 The trick takes a little bit of practice, even once you understand it, it can be difficult to perform. 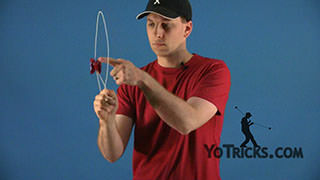 But I find that once you hit the trick a few times, you just get a feel for how it works, and then you will find that you are pretty consistent and accurate at it. 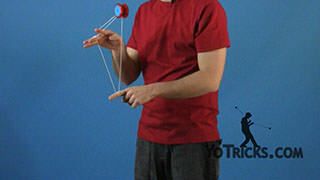 And once you have got it down, that is how you do Satoshi Tower.